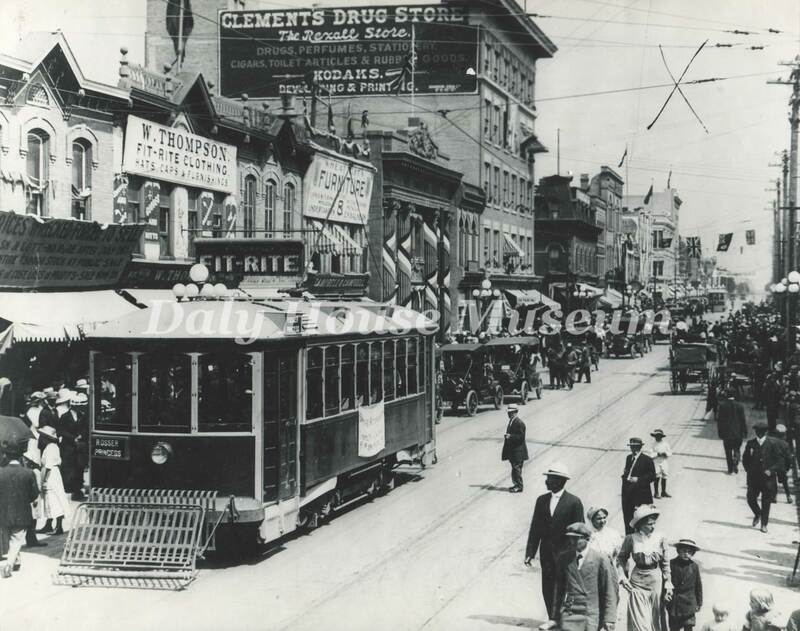 Construction for a municipally owned streetcar system in Brandon began in 1910. Managing the construction were the City Engineer, Mr. Speakman, the Master Tracklayer, Mr. David Heately, and the Timekeeper, Mr. William Wakefield. The majority of the construction crew consisted of recent immigrants from Poland and Galicia. The mayor at this time was John W. Fleming. The street railway was completed in June of 1913 time for the last Dominion Fair in Brandon. The Brandon Municipal Railway ran until 1931 when its operation was suspended. It was shut down indefinitely in 1932. Donated to the Daly House Museum by the City of Brandon in 1986.